Moving to Wyoming - Compare International Movers & Save up to 70% ! Families and individuals make international moves every day, including international moves to Wyoming in the USA. If you are planning an international move to any city or town in the state of Wyoming, we have the perfect solution for your international moving company needs. We can help you quickly and easily find moving companies that specialize in your desired route, and arrange for custom quotes to be sent directly to you – and it is completely free! Packing, shifting, moving – no matter what type of relocation services you need assistance with, Intlmovers can help you find the right company and for the right price. 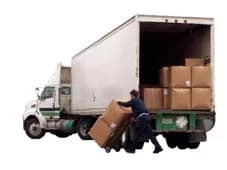 By providing you with up to six different quotes from a number of unique international moving companies, you can compare prices and services and get the best deal. Take advantage of this free online quote comparison option and get the best value for your international moving budget. If you would like to request quotes via Intlmovers, it will only take you a couple of minutes. Using the handy menu on this page, you just need to choose where you are moving from and to. You’ll then be taken to the request form where you add a few basic details about what you need for your move, and that is all. The moving companies receive your request straight away, and they will come back to you directly with their answers. Compare quotes and save! Submit the request form and get quotes for international moves to Wyoming shortly afterwards. International movers that you find with Intlmovers have longstanding and trusted experience with international moves to Wyoming. Avoid unnecessary stress when you hire an international mover to manage your logistics. Comparing international moving services can be done comfortably and conveniently at home. Wyoming is the least populated of the 50 US states, with population of under 600,000 people. Cheyenne is the capital and largest city of the state with around 60,000 residents. The extended metropolitan area of the city extends to a population of closer to 92,000 people. Other major cities in the state of Wyoming include Jackson, Casper and Laramie. Covering an area of approximately 255 thousand square kilometres, the state is on the eastern side of the Rocky Mountains and around 70% of the western part of the state is made up of mountains or ranges. Wyoming has a semi-arid climate and the weather patterns are affected by its altitude and proximity to mountains. The state is also considered to be one of the windiest in the country due to its elevation level. Summers are warm and winters are generally long but dry. Across the state rainfall is quite limited with the more rain usually falling in the northern and eastern areas, typically with May being the wettest month. The largest employment sector in the state is via government roles and functions. The cost of living in Wyoming is lower than the national average, and the unemployment levels are also under the currently national average. Based on current sales trends, the median cost of a home in the state is around $180,000. Whilst dependent on your type of employment, in 2012 the annual average salary in Wyoming is reported to be around 8% less than the national average. Being able to save time and money is great, but you want to be sure that you are being provided with quality service. The experience offered by the international moving companies on Intlmovers is your reassurance of professional and high levels of service. Their long term experience means that you get the highest level of service with the right level of expertise. Obligation free and cost free is the motto from Intlmovers. The objective of this website is to save you time and money on international moving quotes, by allowing you to easily compare a number of companies and their related services and costs simultaneously. An informed decision is usually a better decision, but make sure you only accept a quote if it meets your needs.